British-Swedish musicologist Ruth Tatlow is an independent scholar based in Stockholm. Her research into Bach's use of numbers led from her classic monograph Bach and the Riddle of the Number Alphabet (Cambridge, 1991) to its sequel Bach Numbers, through publications on methodology, inventive techniques and the theory of proportional parallelism. In 2004 she co-founded Bach Network UK (BNUK), establishing its open access web-journal Understanding Bach in 2006. 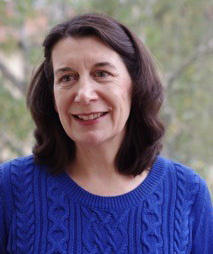 She is currently Chair of the BNUK Council, joint editor of Understanding Bach, and a member of the Editorial Board of the American Bach Society. Her research has attracted awards and grants from numerous sources including the Swedish Research Council, the Royal Swedish Academy of Music, the Society of Authors of Great Britain, the British Council, The Hinrichsen Foundation, The Leverhulme Trust and the Royal Swedish Academy of Letters.